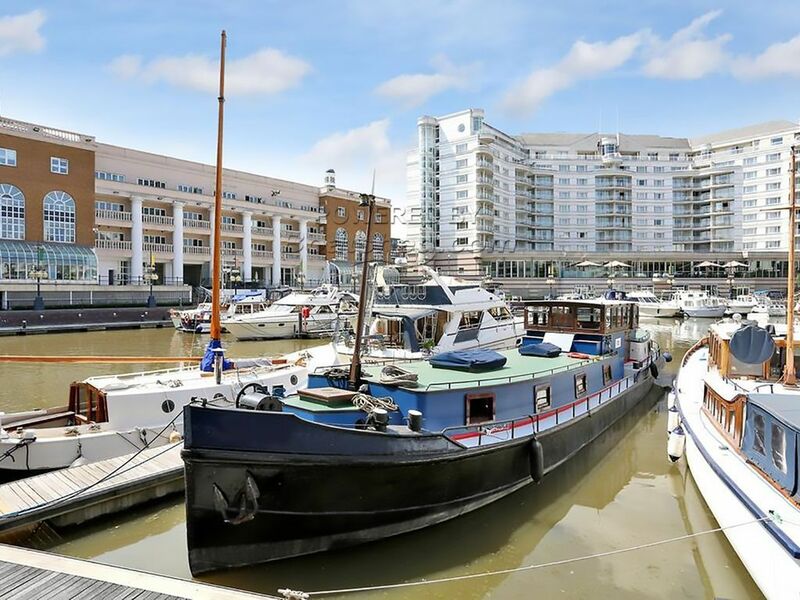 Boatshed London are delighted to offer this 21m Dutch Barge with highly desirable mooring in Chelsea Harbour, West London. Built in 1923 and clearly well maintained, this characterful barge is now available in a prime location which would make a lovely liveaboard home for a couple or family. With three cabins, there is lots of potential here to change one of them to a study or add a second bathroom if required. The saloon is a good size, with high ceilings and sky lights making it feel bright and spacious. The boat was surveyed in 2018 and found that the epoxy coating was in good order, the areas where the hull had been overplated were also showing to have good thicknesses and no further work was required at the time. The boat was recommended to be lifted again in 2025. The engine started first time when I tested it and the engine room is clean and well kept. The electrical installation was also done properly and the 12v and shore power systems are both fully functioning. What we have here is a barge that is in great condition mechanically, below the waterline and externally but would benefit from some modernisation to the interior which wouldn't be expensive or difficult. Painting the interior white would make it feel much more modern but one could spend more and refit the interior entirely. The boat has been priced realistically anyway so the buyer has the potential to do whatever they want in the knowledge that they've got a great mooring in one of London's most desirable marinas. Current leisure mooring fees are approx £13,000 per annum. This Dutch Barge 21m With London Mooring has been personally photographed and viewed by Angus Rose of Boatshed London. Click here for contact details.